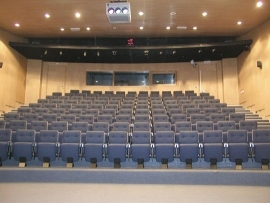 The auditorium is a 115 seat complex where the summer school and Myology interuniversity diploma courses, and certain seminars and AFM-Telethon press conferences take place. 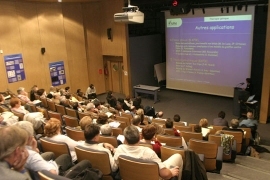 The Institute of Myology also enables its partners, the Pitié Salpêtrière Hospital Group and external organisations to organise symposia, meetings and research seminars there, with the content being obligatorily medico-scientific. The rental package includes a contract, price and booking confirmation, in which the proposed services are detailed: type of rental, equipment available. This contract is sent, after checking the availability and reception of the reservation request in writing.